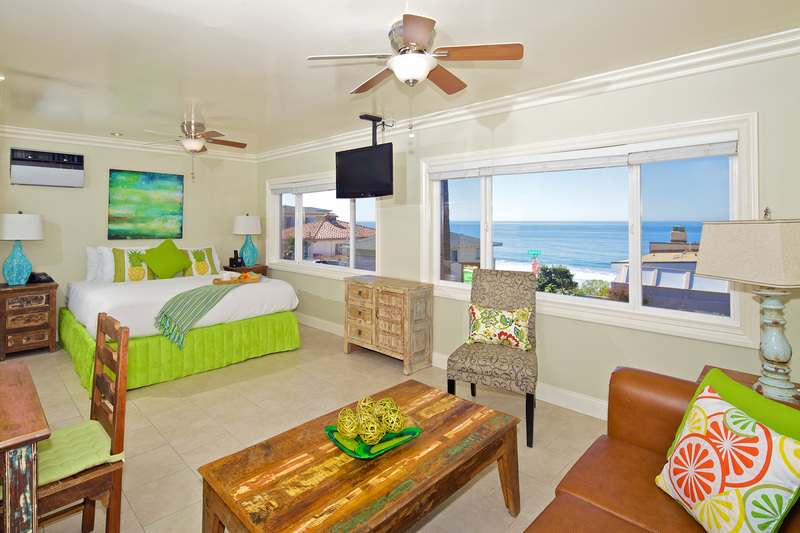 Discover the refreshing relaxation of an exclusive ocean view. 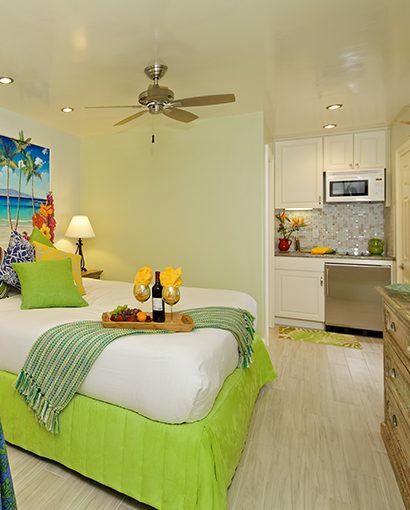 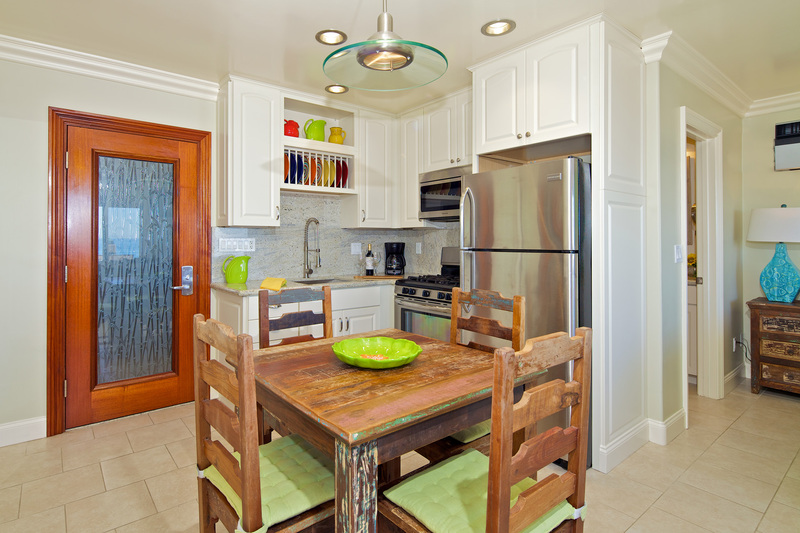 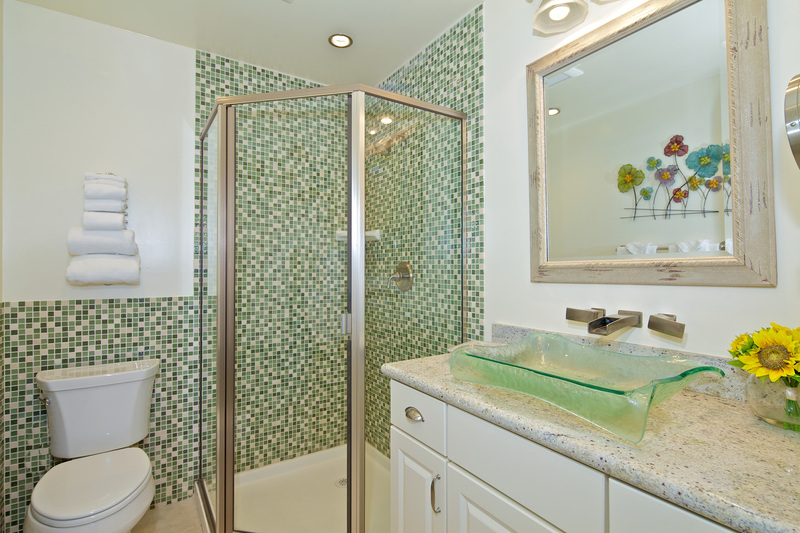 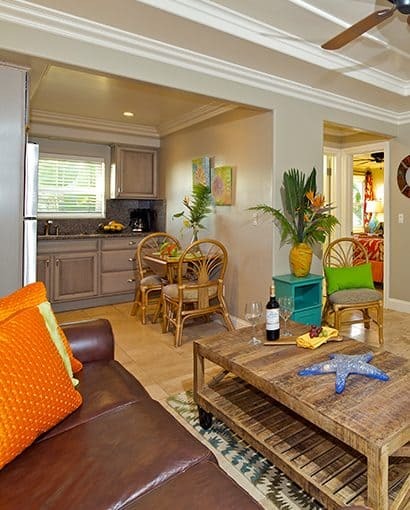 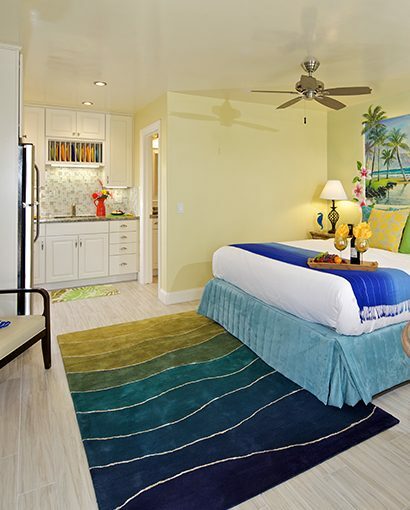 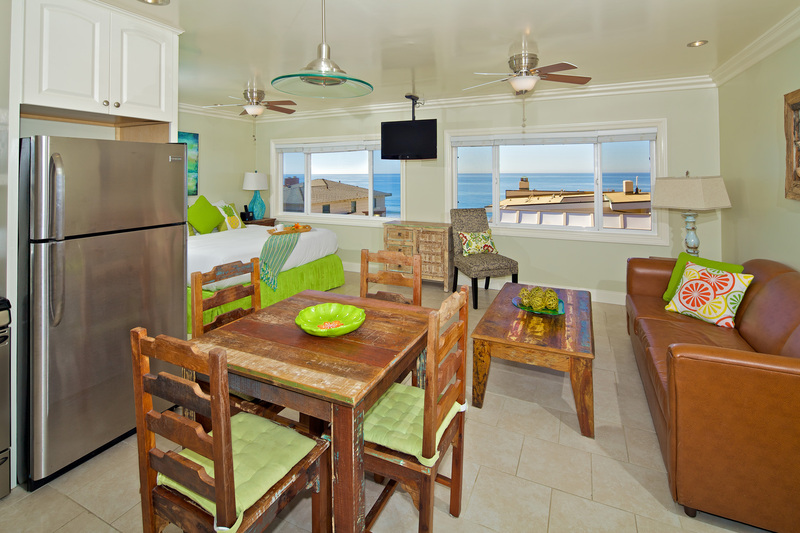 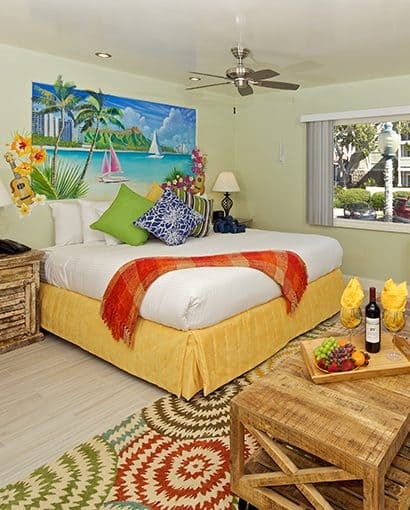 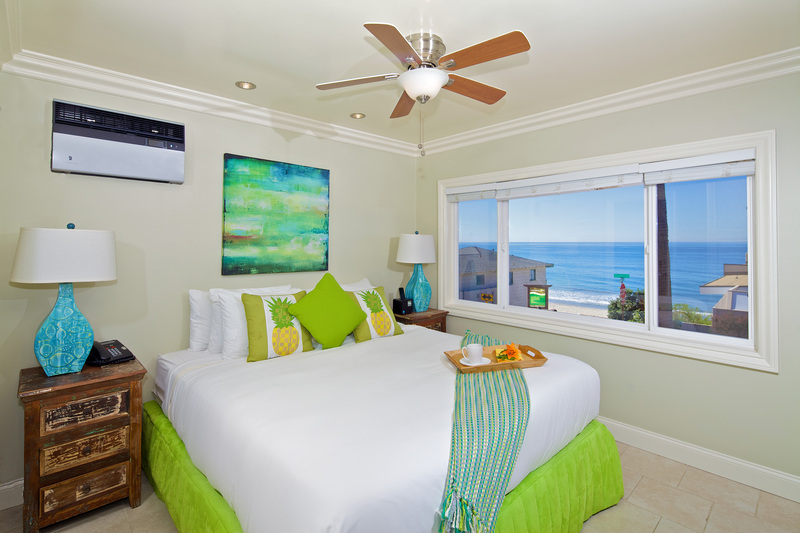 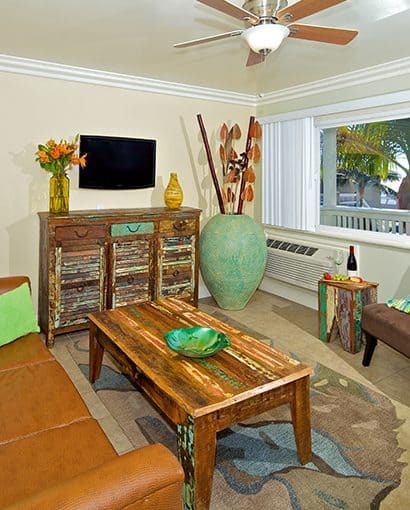  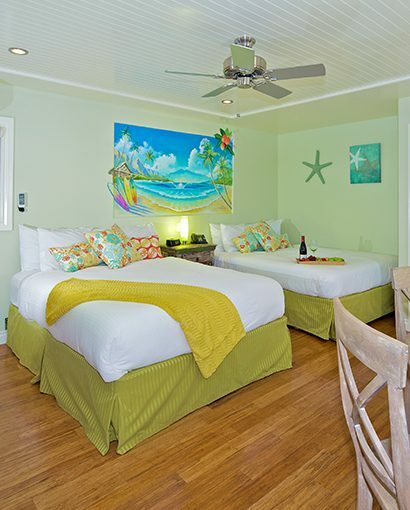 Enjoy 180 degrees of ocean views directly from your 400 square feet suite beautifully renovated with top quality furnishings and beach chic decor. 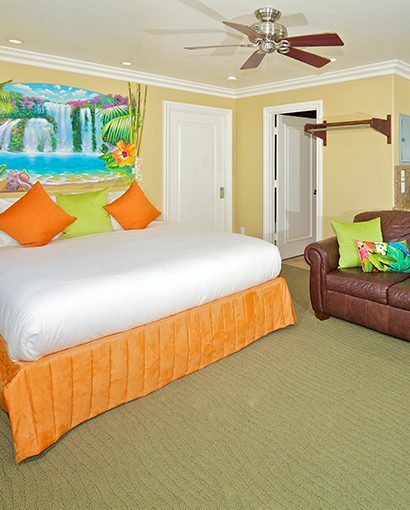 Featuring a California King bed and a Queen pull out sofa, this suite fits 2 adults and 2 children comfortably. 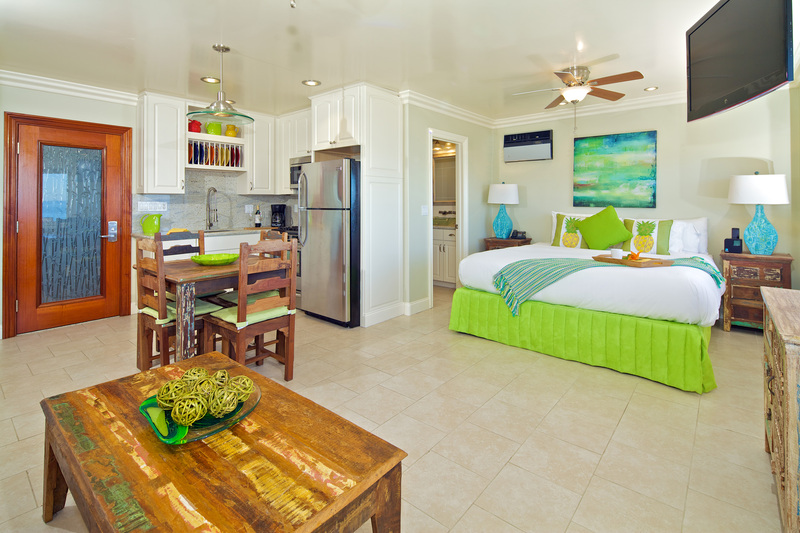 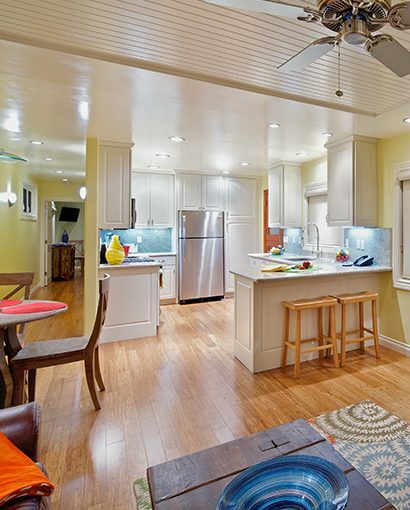 Full kitchen with microwave, oven, stove, full-size refrigerator and freezer, plus a 32” LED flat screen TV with Spectrum HD Cable, and free wifi.